Cinnamon and Thai basil both belong to the same family that includes regular basil (AKA sweet basil or Mediterranean basil) and mint. One factor that can make a comparison between these two tricky is that some people refer to cinnamon basil as Thai basil. Both cinnamon basil and Thai basil are common ingredients in Thai cooking. 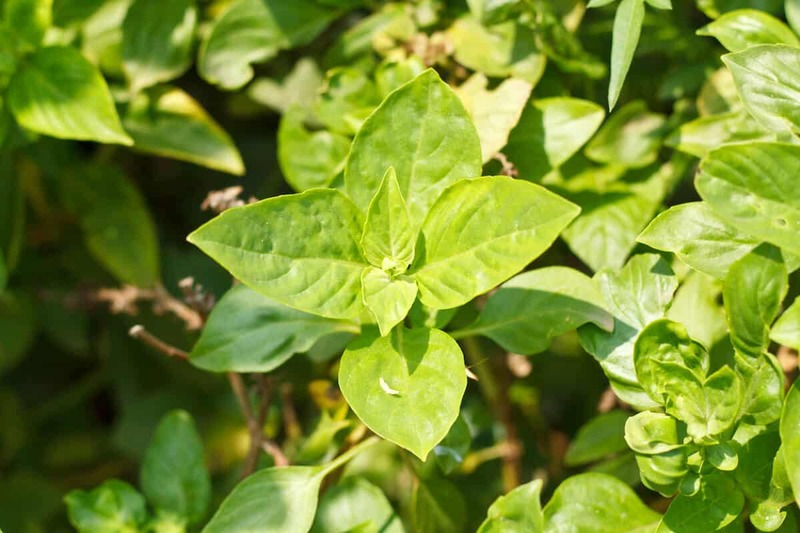 The Thai basil that most people from the West know is a separate plant that is also called horapha. These two herbs clearly have a lot in common but there are also some major differences that we will cover in the SPICEography Showdown below. 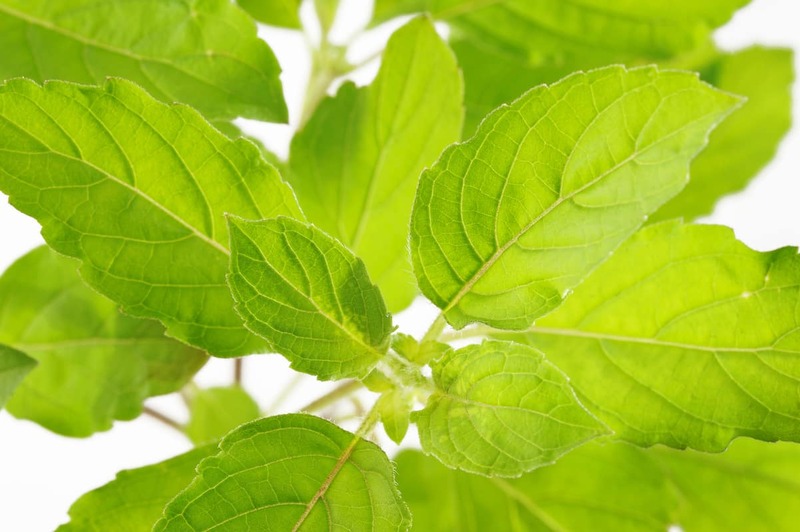 How does cinnamon basil differ from Thai basil? As its name suggests, cinnamon basil gives a cinnamon-like flavor to your food in addition to some of the notes that you would expect from basil. The cinnamon flavor comes from a compound called methyl cinnamate. In comparison, the flavor that Thai basil brings to food is closer to the anise or licorice flavor than it is to that of cinnamon. Thai basil also has an intense camphor note. You should note that cinnamon basil is just one of multiple herbs that are sometimes called Thai basil. Holy Thai basil is also known as kra phao is among them. Cinnamon basil does not handle being cooked very well. Its flavor profile is not as robust as that of Thai basil, which is basically made for high-heat dishes. Thai basil’s flavor profile blooms in Southeast Asian wok-preparations. Can you use cinnamon basil in place of Thai basil and vice versa? Cinnamon basil can work as a substitute for Thai basil. Since Thai cooks use both, neither herb has a flavor profile that will seem out of place in a Thai dish. Both are pungent, which means that either will work if all you want is an intensely aromatic herb with a basil note. The two herbs are also nutritionally similar. That said, cinnamon basil and Thai basil will not give you exactly the same flavor profile. Both the Holy Thai basil and horapha varieties of Thai basil deliver a spicy intensity that verges on being peppery. That intensity (as well as the strong camphor note) are among the characteristics that set them apart from cinnamon basil. 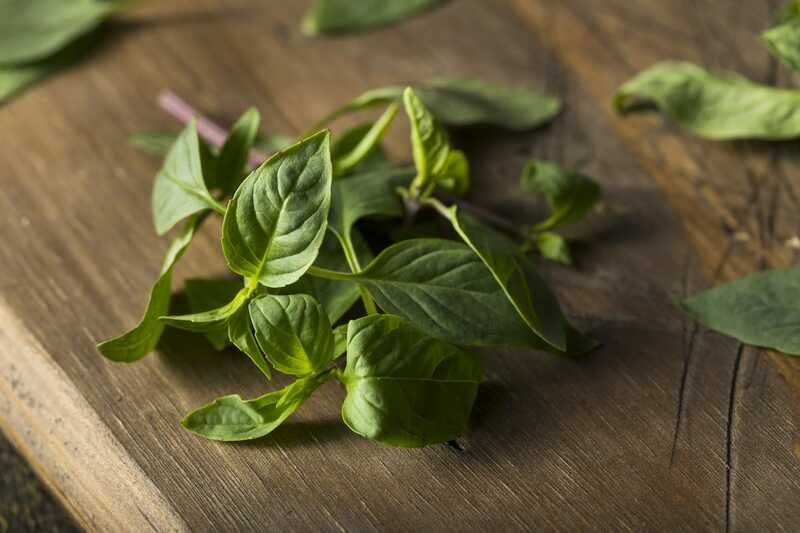 If you are trying to get a flavor similar to that of Thai basil, there are better options than cinnamon basil even though cinnamon basil is not a bad substitute. When should I use cinnamon basil and when should I use Thai basil? Aside from its use in Thai cooking, you can use cinnamon basil in sweet dishes where it can stand in for sweet basil and for cinnamon. Use it in seasonal fall dishes that feature squash or pumpkin. You can use it in place of mint as well. Alternatively, you can use cinnamon basil to give traditional basil dishes a new flavor twist. Like sweet basil, cinnamon basil goes well with tomatoes. It is a particularly good partner for stewed tomatoes and other forms of cooked tomatoes. Cinnamon basil is also great a tea herb. 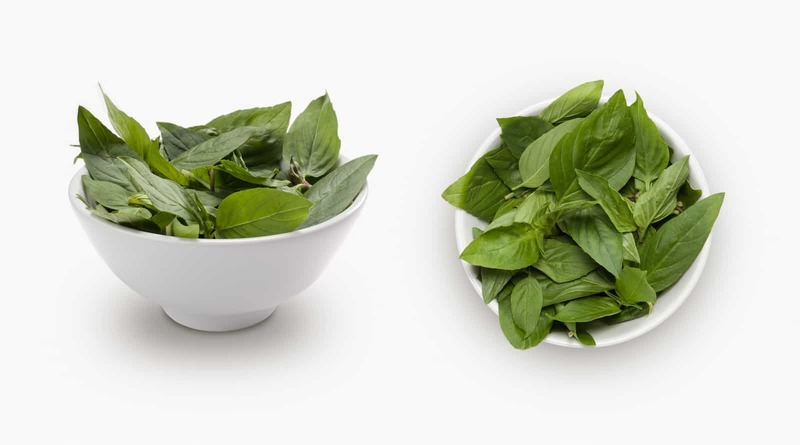 Use Thai basil in Thai stir-fried dishes and other cooked applications since its flavor does not fade as quickly when compared to other basil varieties. It stands out in salads where it can provide a flavor profile that is zestier and brighter when you compare it to that of regular sweet basil. What's a Good Thai Basil Substitute?